Concept mapping! Creative and chaotic! | Amsterdam, baby! Concept mapping! Creative and chaotic! WOW! 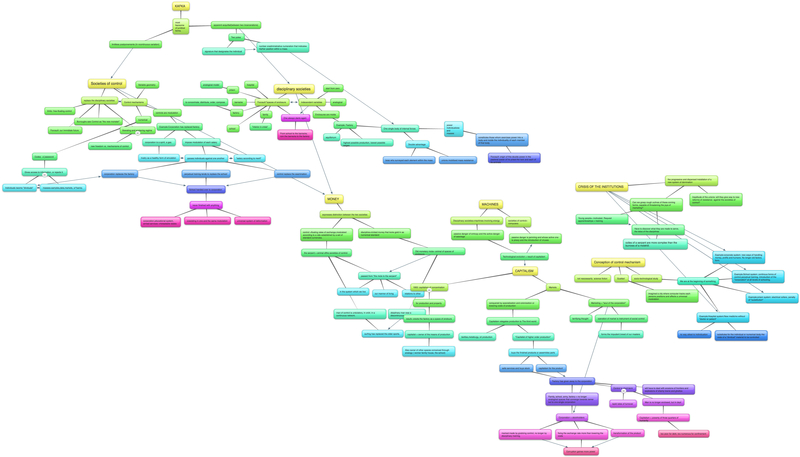 I have now been reading a five pages long text about “Societies of control” and ended up with this HUGE conceptmap ( I don´t think I am so good at this. haha). And now I am gonna read a 20 pages long text about “protocol, control and networks” and put that as well in my conceptmap. It´s gonna be a mess! This entry was posted in Art, Coolstuff, Does, Dont's, fun, help, LOL, Lost, media theory, norwegian style, school and tagged Amsterdam, art, chaos, concept mapping, fun, irritating, LOL, media theory, mess by maypaj. Bookmark the permalink.